Home→Diet Solutions→Why Smoothies Are Good For You! If you know how to operate a blender (and let’s be honest it’s not the most complicated piece of equipment) making a smoothie is quick, easy and simple. It is for those exact reasons that smoothies are absolutely perfect for those with a busy schedule! With a lack of time or energy we usually cave and retreat back to fast food places, or over priced cafes, but the smoothie is a great alternative! Not only are you saving money but you’re also losing calories and getting essential goodness into your body – it’s a win win situation. Consuming a well balanced diet shouldn’t be pushed aside; feeling tired and energy-less isn’t something to just adjust to, it’s a problem that can be addressed by incorporating vitamin enriched foods into your diet. 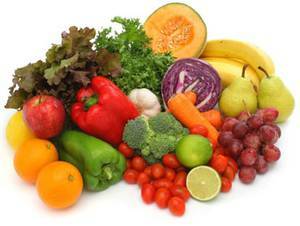 This doesn’t have to mean a month long diet of solely raw vegetables, nuts and seeds. With a smoothie you can have your favourite delicious flavours, and still feel smug knowing you are one step closer to maintaining a healthier you. Green smoothies have a wealth of health benefits! I know what you’re thinking – anything that looks like that can’t taste nice – but you’d be surprised! 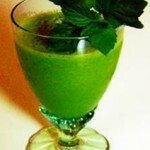 Green smoothies digest well and are bursting with great nutritional value. High in antioxidants and phytonutrients, green smoothies help build up your natural defences, whilst also providing the essential substances to help maintain an optimum level of health. 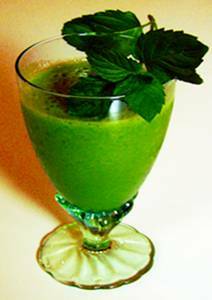 Looking for more information about Green Smoothies? In this article, My Top 4 Green Smoothies Recipe Books, I review my favorite four recipe books for making these at home. In this article, Cleansing Smoothies, we talk about the cleansing benefits for the whole system of drinking them! Getting your five a day has never been so easy with a smoothie- get your daily requirement of vitamins and anti-oxidants in the form of a delicious and refreshing drink on the go! Fan of berries? Try a mixed berry smoothie; it’s calorie friendly, a good source of vitamins and full of anti-oxidants. Strawberries in particular are high in vitamin C, which is great for your immune system and contain flavonoids that help to prevent the risk of cancer. Want to Lose Weight in Time for Summer? Smoothies are also wonderful for diets as they’re quite filling, so will prevent you from feeling the need to snack in between meals. Although with slimming smoothies, be sceptical of dairy ingredients; try soy milk as a lighter option! Use whole fruits to keep the smoothie high in fibre and go for ingredients that will boost your energy to promote a more active lifestyle, working in perfect conjunction with a gym fitness plan. Looking for more information about Weight Loss smoothies? 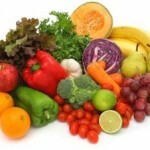 In this article we show you how to save money by making your own weight loss smoothies at home. In this article, we show you how to choose between the wide variety of pre-mixed diet and meal replacement smoothies on the market. Smoothies show that being healthy needn’t be such a chore! With a blender at hand, you can try a recipe that works for you. Whether you’re berry fan, carrot lover or partial to the odd dairy beverage- there’s a smoothie recipe out there you’ll love. This is a guest post by Josh Hansen who writes for XPress PCR an innovative UK based biotechnology company.